Uniform Paper, 2006. 8 x 6 x 1.25 in. 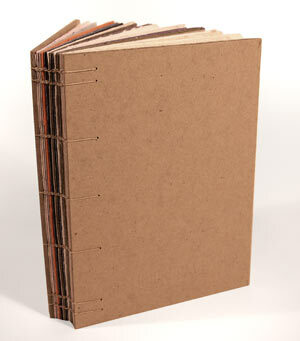 Handmade paper, hand bound, letterpress printed, edition of 33. 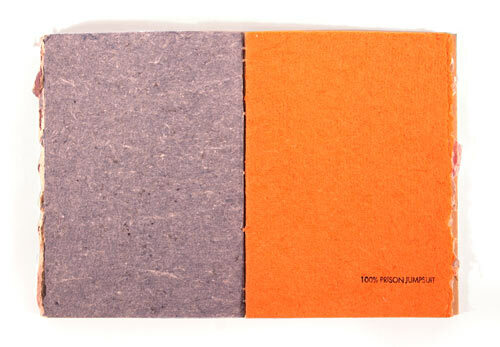 Uniform Paper displays a wide variety of handmade papers created from uniforms/outfits which were obtained through ebay or personal donation. 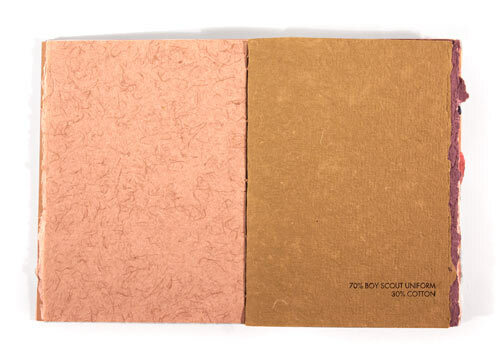 Each of the 15 different papers are labeled with their content–some examples are: 100% diaper; 37% brownie jumper & 63% cotton; 88% military camoflage & 12% cotton; 100% wedding dress. Collaboration with Chris Petrone.